Aw man, Love strikes out? Really? That’s how it ends? Josh – I was one of those kids that played this game as a kid with my next door neighbor. I have enjoyed your three year odyssey of playing out the game. Will there be a re-match? “Play Ball!” ended up playing out more realistically than I expected. Boy, even Belloir’s minor league stats didn’t look that impressive. I wonder how he ended up making to the bigs at all? Somehow, Love striking out seems to be oh so fitting of an end- All You Need is Love-I guess it didnt work out like that, then or now. 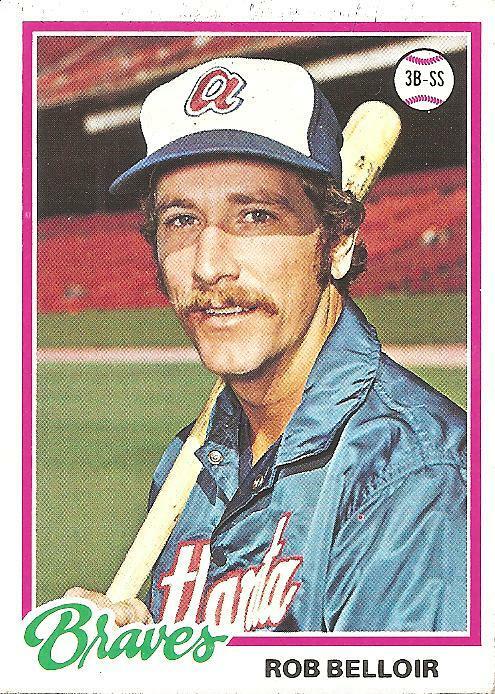 But, Rob Bellior, one of the most invisible players of the 70’s, ending this game, is probably one of the most appropriate things to happen to this game/blog. The anonimity of the player, the “Play Ball” game itself, that hardly anyone played with these 78 cards, it fits here like a Rudy Meoli popup. When love strikes out, it always turns and gives one last glance before walking away, if only to make sure that the ball didn’t get away.